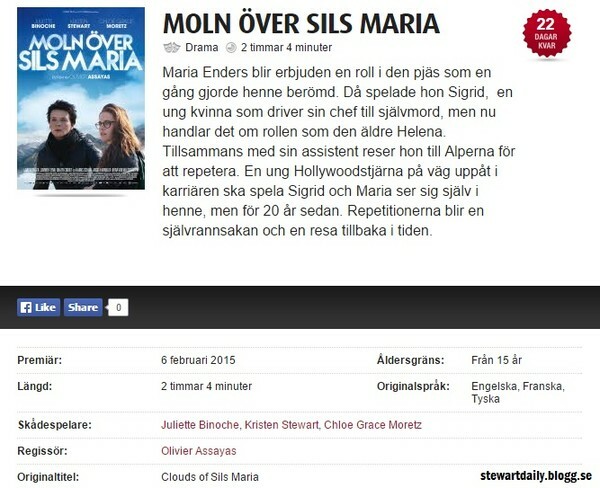 Enligt SF bio har Clouds of Sils Maria biopremiär 6 februari. Det står också hur lång filmen är och vilken åldersgräns den kommer ha. Video: Ny trailer för "Clouds of Sils Maria"
UsMagazine: "See Kristen's fit bod"
Captain K. Stew! 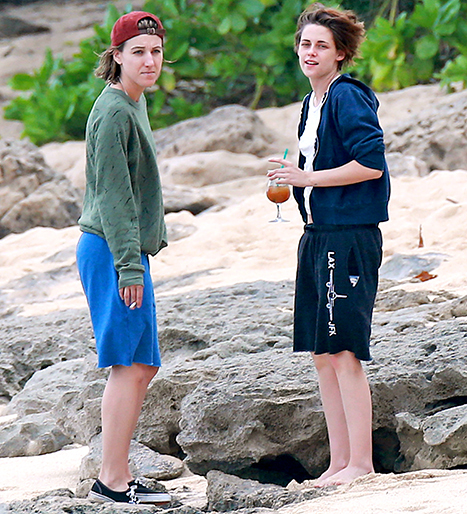 Kristen Stewart rang in 2015 by showing off her trim bod while on the beach in Hawaii on Friday, Jan. 1. The Twilight star, 24, looked fit in a spunky beach ensemble of tiny red shorts, a black bikini top, and a cut-off tank which read “Captain." 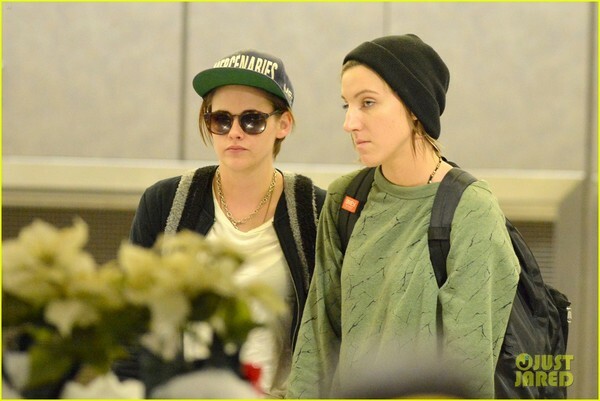 Robert Pattinson’s ex-girlfriend was joined by pal Alicia Cargile. The two, who rang in the New Year in Honolulu, enjoyed one another’s company while playing catch on the beach. Stewart also spent time relaxing on the sand reading Ernest Hemingway’s The Snows of Kilimanjaro. Prior to counting down to 2015 on Thursday, Dec. 31, the two friends were snapped enjoying drinks on the beach in comfy cut-off sweats. PopSugar: "11 Past Moments That Made People's Choice Awards Worth Watching"
Idag är det dags för People's Choice Award i USA och därför har Popsugar gjort en lista som de kallar för "11 Past Moments That Made People's Choice Awards Worth Watching" med tillbaka blickar från People Choice Award genom tiderna, med på listan har vi Kristen och Ashton Kutcher som står och småpratar lite backstage på People's Choice Award 2011. 2. That time in 2011 when Ashton Kutcher and Kristen Stewart chatted backstage.